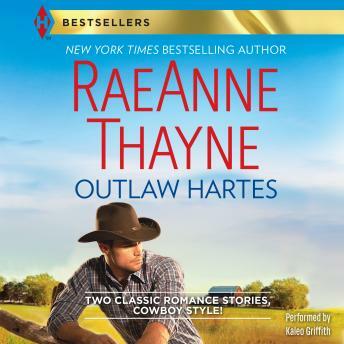 New York Times bestselling author RaeAnne Thayne brings us two stories from her Outlaw Hartes series. These couples may not be looking for love, but they are about to find it! He had been bamboozled by women before, but for rancher and single father Matt Harte, this is the last straw! Because of his daughter's shenanigans, he's been roped into planning the annual Valentine's Day dance. And who's his partner on the committee? Beautiful big-city vet and recent Salt River transplant Ellie Webster, the woman he can't take his eyes offthough not for lack of trying!